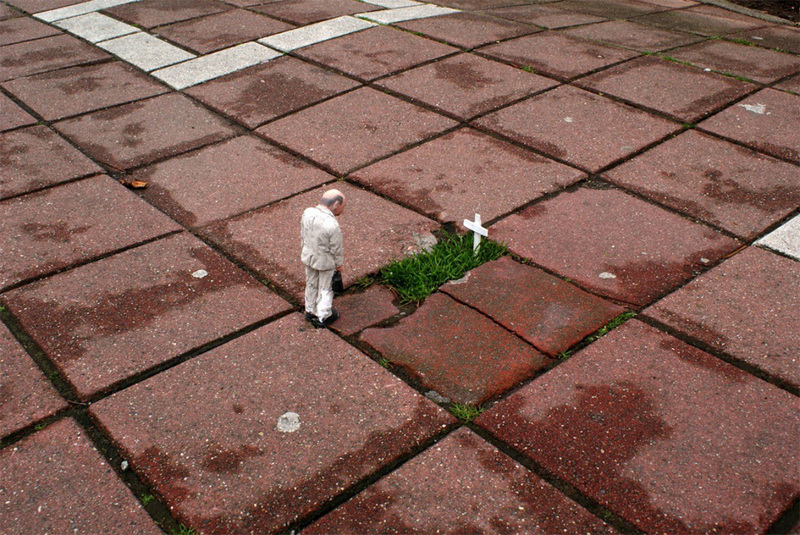 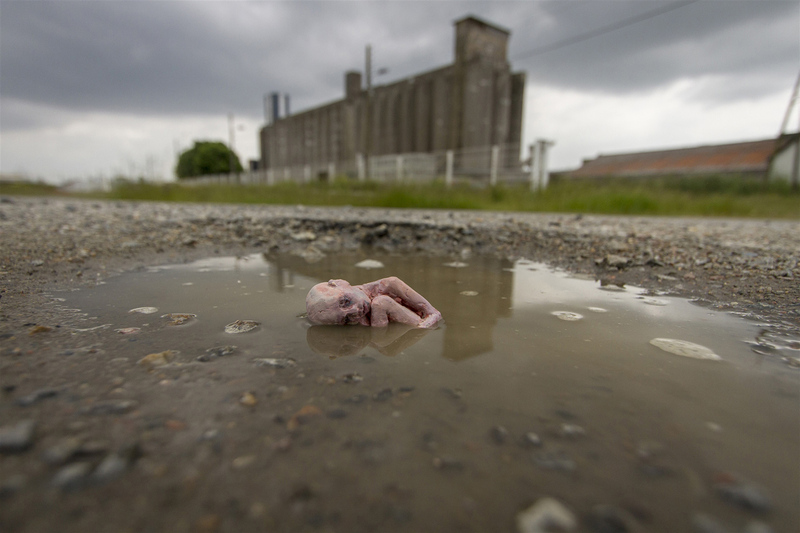 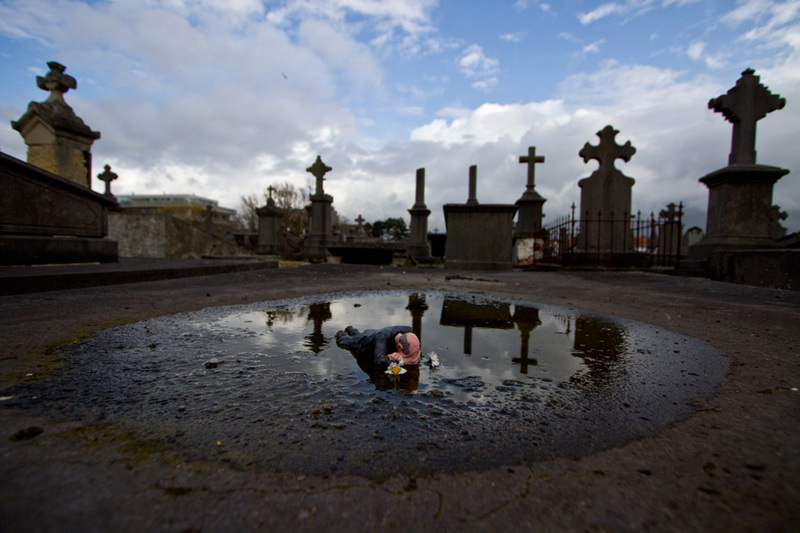 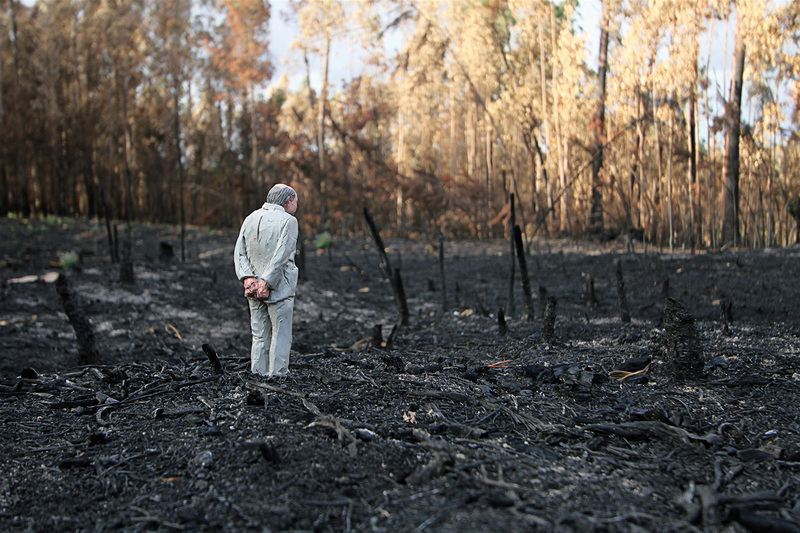 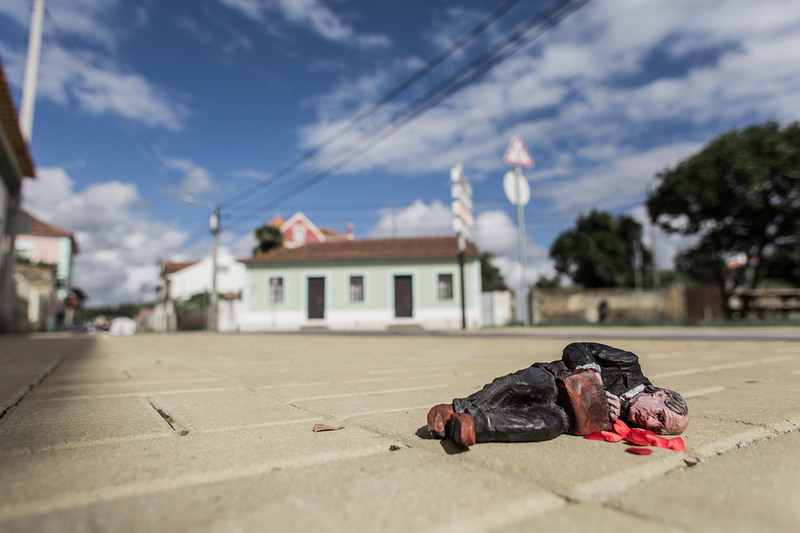 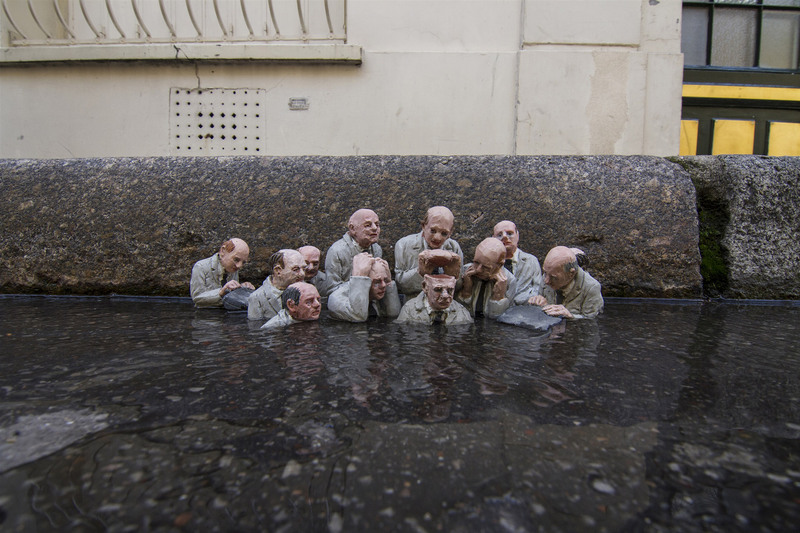 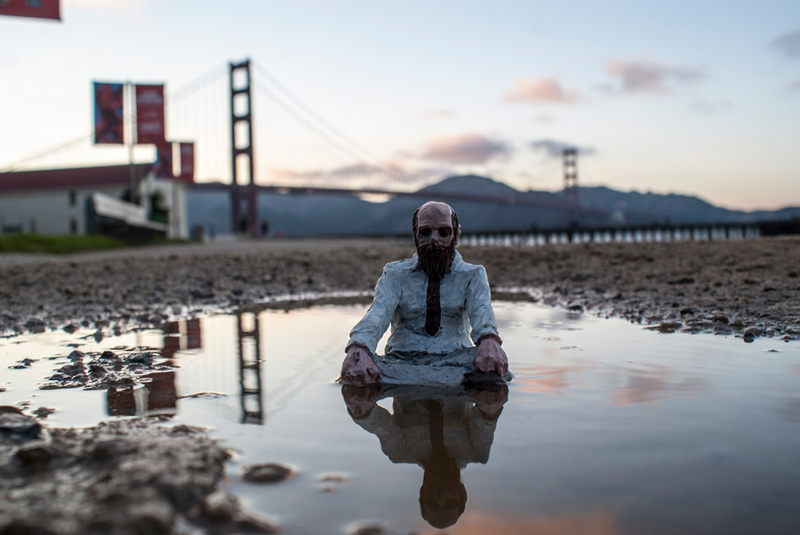 Isaac Cordal is a Spanish street artist who builds miniature installations in public spaces around the world. 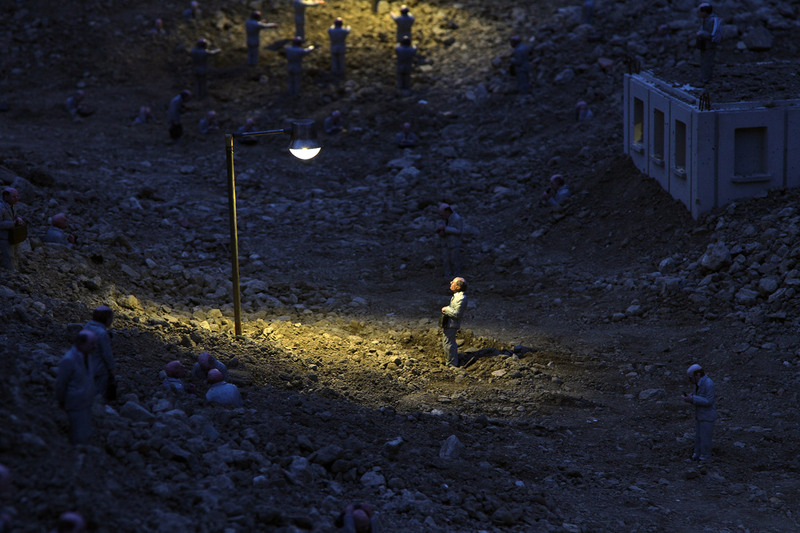 Titled “Cement Eclipses,” his project consists of tiny clay people who interact with urban environments in ways that explore society, capitalism, and the absurdity of human existence. 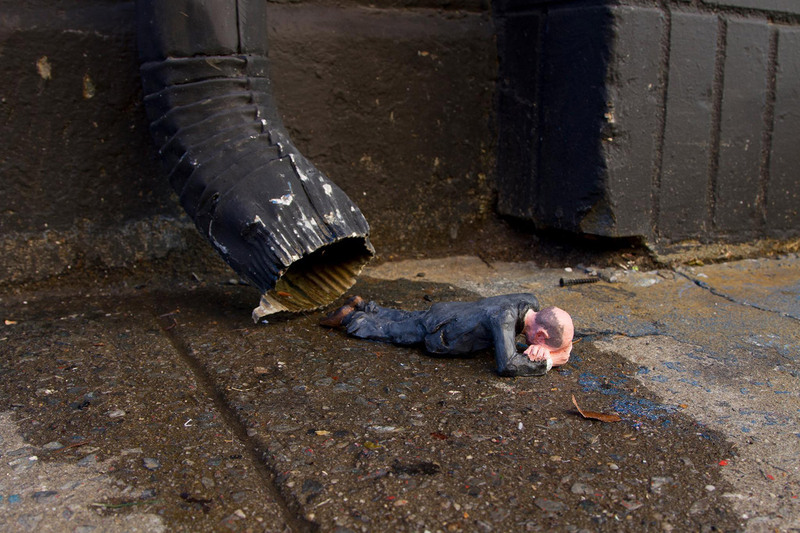 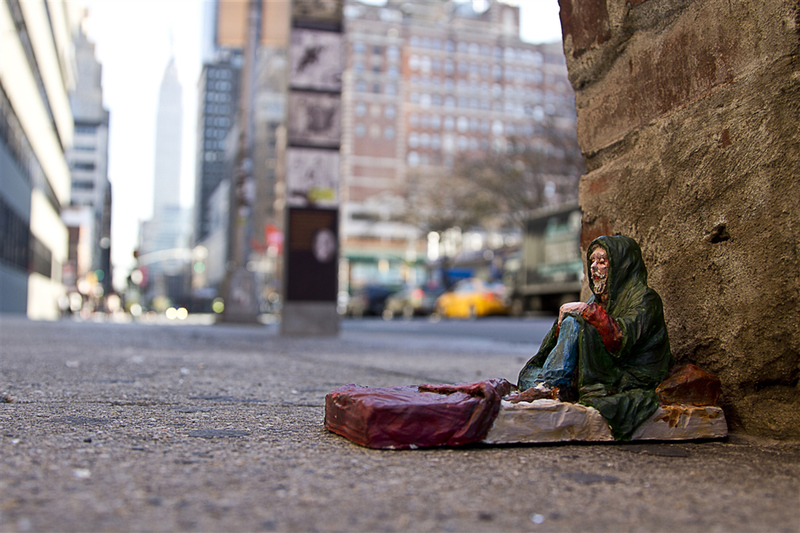 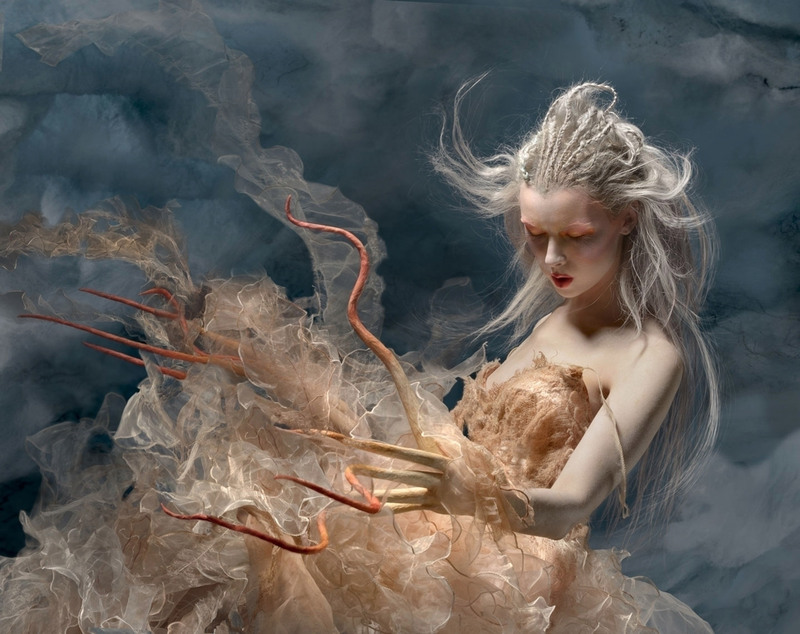 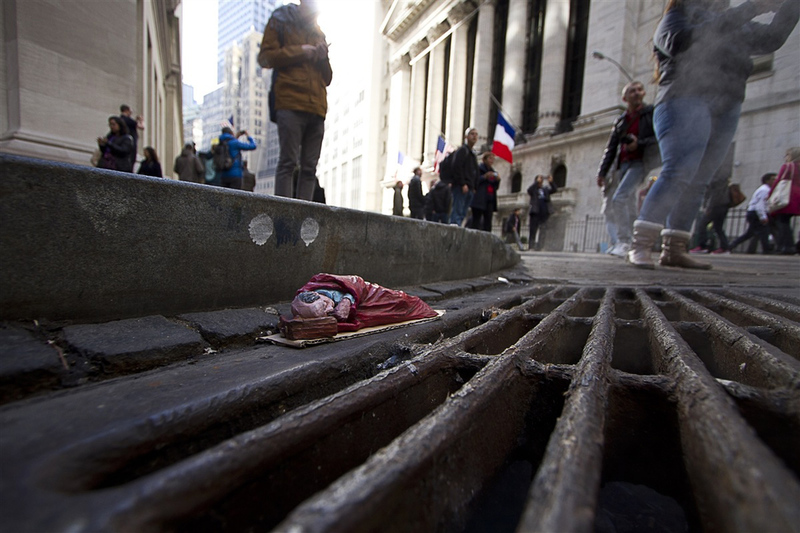 From homeless figurines sleeping overtop storm drains to the aftermath of suicide, each installation surprises pedestrians as moments of both magic and reflection, producing empathy for the tiny people as well a consideration for larger societal ills. 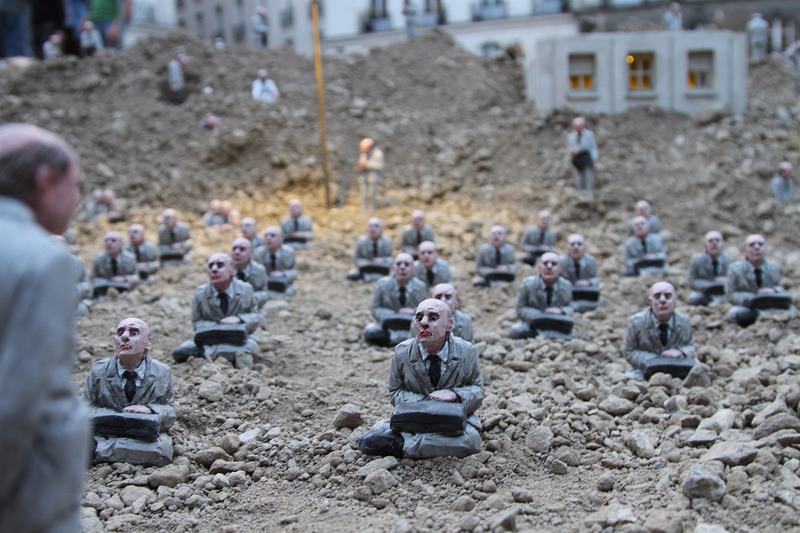 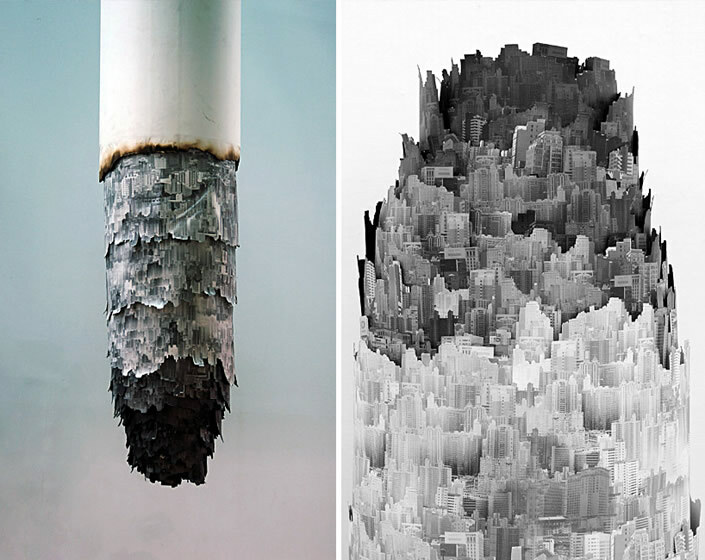 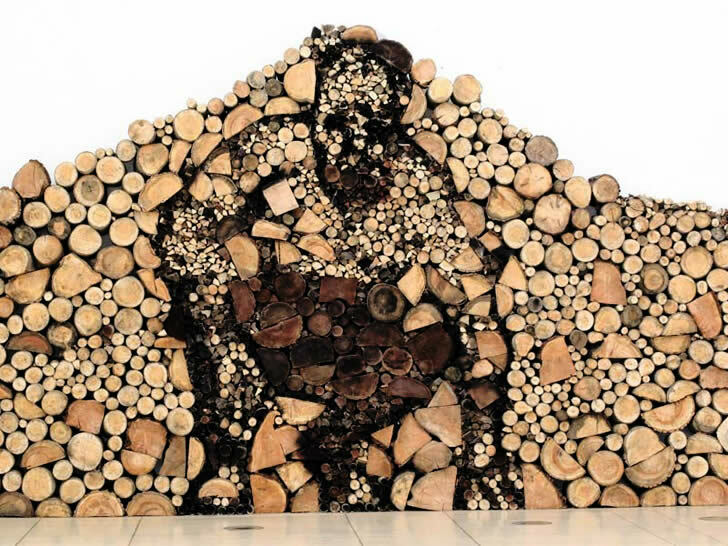 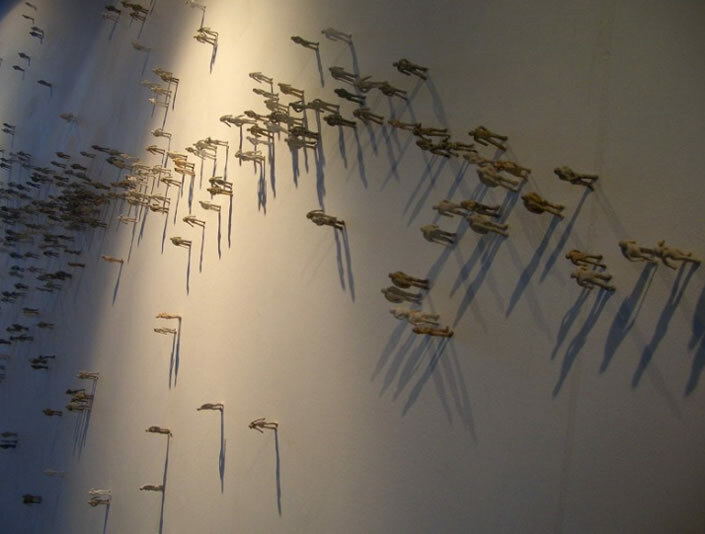 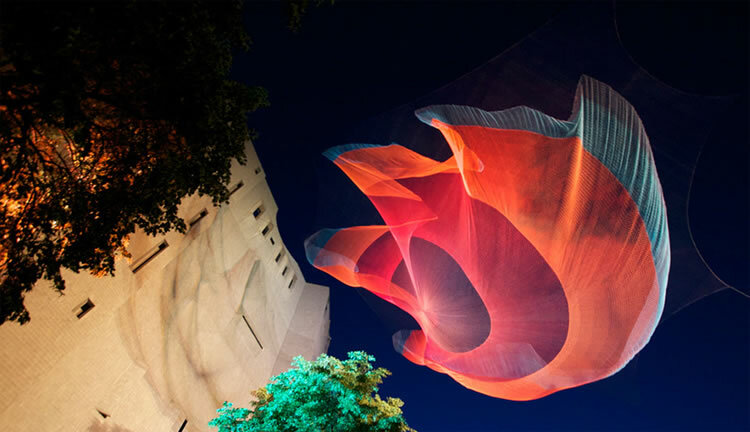 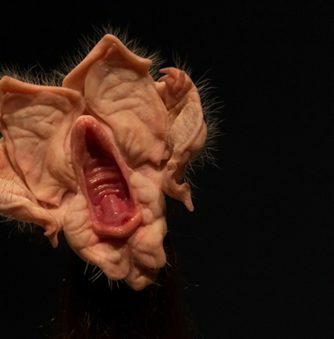 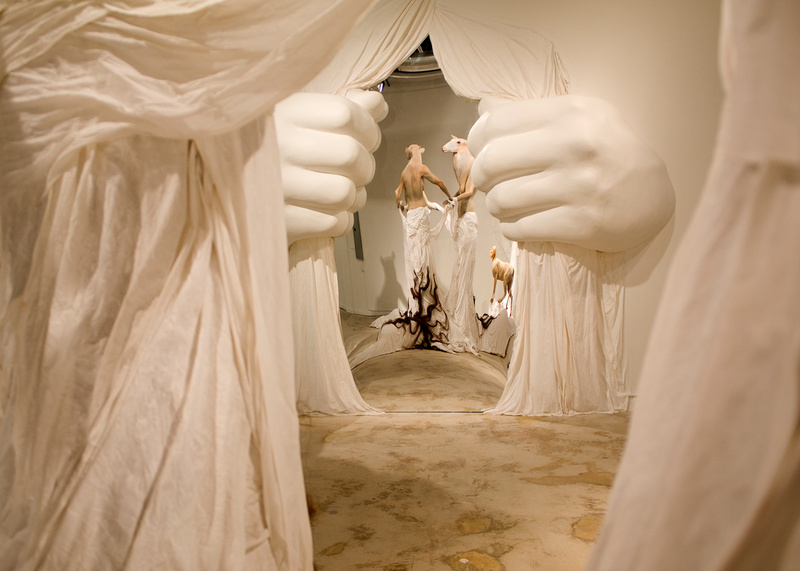 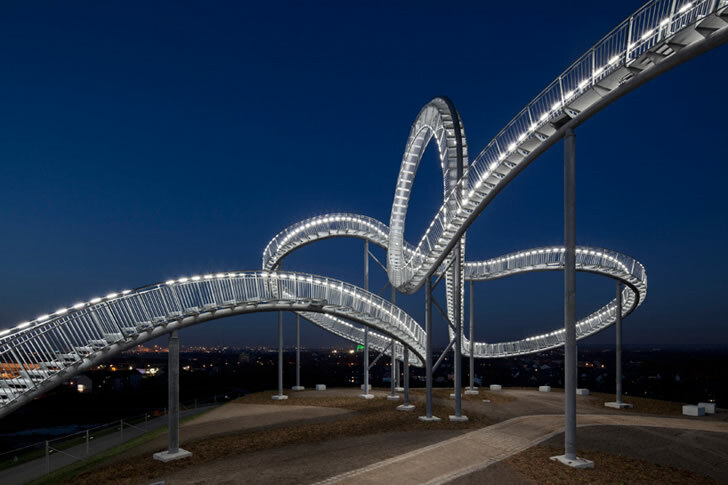 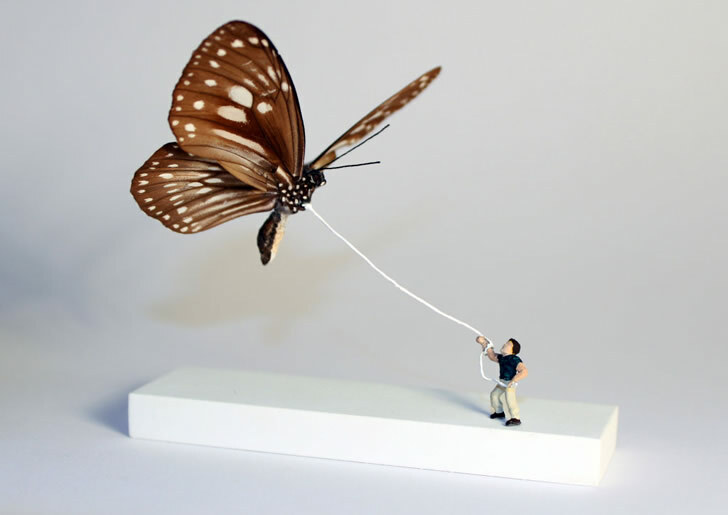 As described on Cordal’s About page, “These small sculptures contemplate the demolition and reconstruction of everything around us,” encouraging us to view the world from a renewed perspective and question the current state of human progress.